Are you a Seattle guru? Be heard and share your experiences by becoming an 206area.com Contributor. Learn More! Are you a local in the Seattle area? Join your community and Get Connected with others in your area. Join FREE! Seattle is making nearly every list of best places to live, work, and play in the U.S. Thanks to its proximity to large companies like Amazon and Microsoft calling Seattle home, people are relocating from all over the country to call the Emerald City home. If you're looking to sell your house in Seattle, you're in an astounding position. The demand for housing in Seattle is absolutely booming thanks to the economy and the volume of high-paying jobs. Additionally, living in Seattle has as much to do with all the advantages outside city limits as it does with the city’s economy. Residents are less than an hour from world-famous parks, mountains, wineries, ski resorts, and some of the best hiking trails in the country. These advantages alone should entice buyers, but you should also check out the three most important things you can do to make the process of selling your house a breeze. If you're looking to sell your home, your first step will be to find a top-selling agent in Seattle. A selling agent, also called a seller’s agent, works primarily with people looking to put their homes on the market. This is different than a buyer’s agent, who works primarily with people who are in the home-buying process. While many agents overlap, a seller’s agent will give you a head start in the process of selling your house. We all know that Seattle isn’t exactly famous for its excellent weather as its reputation as the rain capital of the country is well-known. 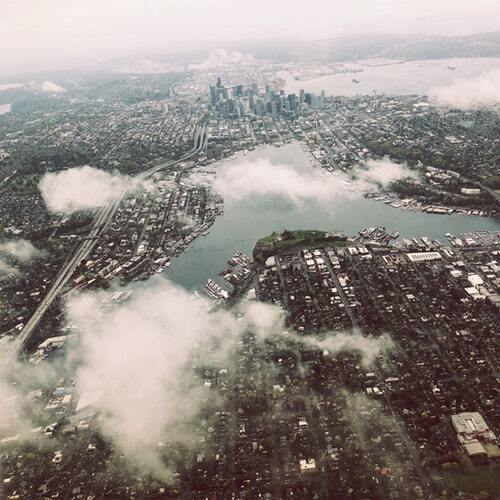 However, Seattle actually receives less rain than cities such as Boston. This being said, it's only to your benefit to put your home on the market during ideal weather conditions. Seattle actually has a gorgeous, warm summer that offers plenty of sunshine. According to U.S. News' real estate division, spring and summer are also the seasons with the highest volume of potential buyers actively looking for new homes. Take advantage of this by putting your house on the market in early or late spring. This will put you in a prime position to start receiving offers during a time when visitors to Seattle will be delighted with the best weather the area has to offer. The inclement weather of winter will give you ample time to make any needed repairs or upgrades to your home in order to have it in the best possible shape when you're ready to put it up for sale. This is the perfect time to call a handyman in to fix things like leaking faucets, damaged appliances, or check the pipes. You can also take advantage of this time by painting walls a neutral color and tending to any minor repairs such as a cracked window. If you own a house with a yard, the best-performing realtors® in Seattle will advise you to invest in having your front lawn professionally landscaped prior to putting your house on the market. Remember, that's the first thing buyers will see when they pull into the driveway, so it's essential to make a great first impression. Find more about housing in Seattle and other real estate news by registering on 206area, your free guide to the Seattle area.